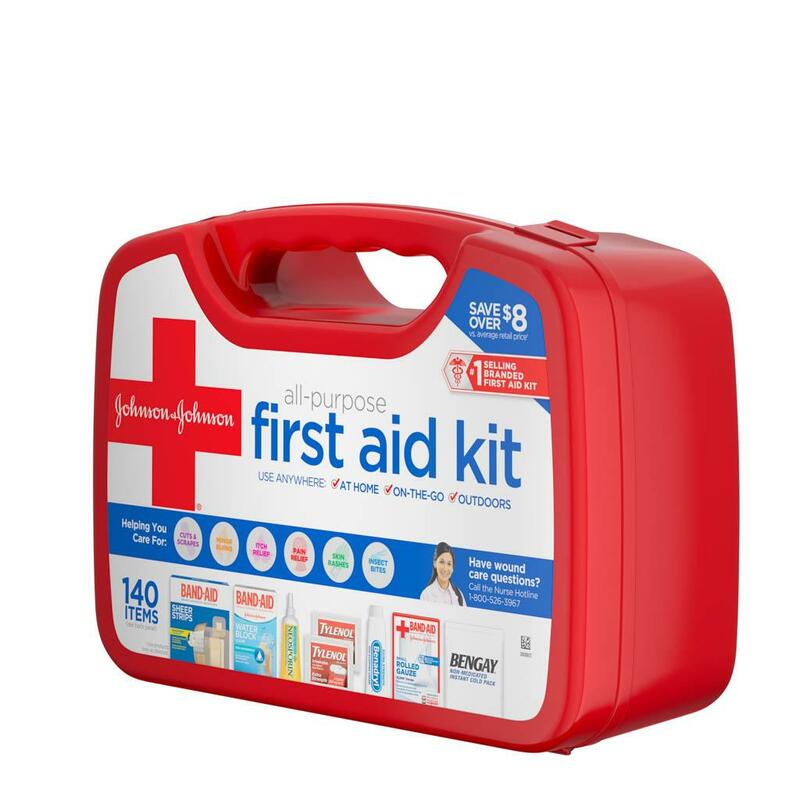 Care for cuts, scrapes and minor burns with the Johnson & Johnson All Purpose First Aid Kit. 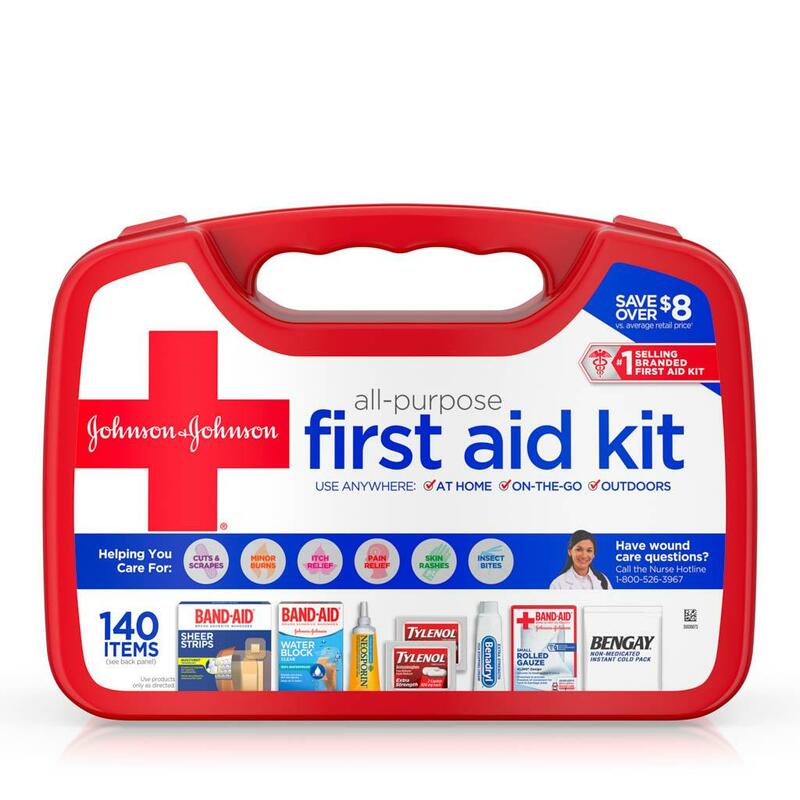 This portable kit contains 140 first aid essentials, including cleansing wipes, gauze pads, assorted bandages, rolled gauze, antibiotic cream, itch stopping cream, acetaminophen caplets, an instant cold pack, and more. 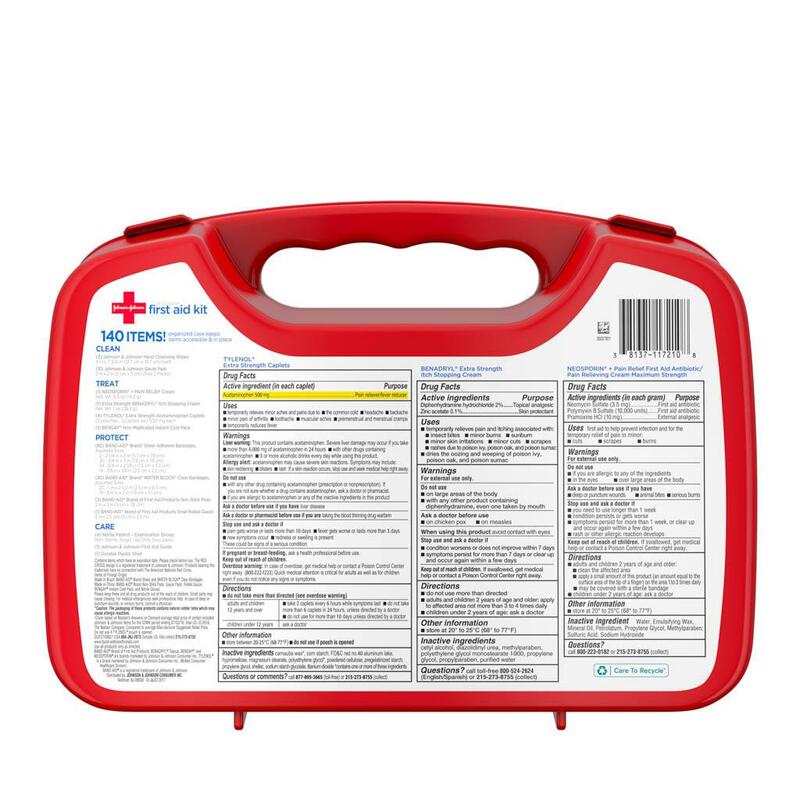 The first aid kit contains products from leading, doctor-recommended brands, including BAND-AID® Brand Adhesive Bandages, NEOSPORIN®, TYLENOL®and BENGAY®. It includes two pairs of gloves, a first aid guide and a durable, plastic box to keep items accessible and organized. 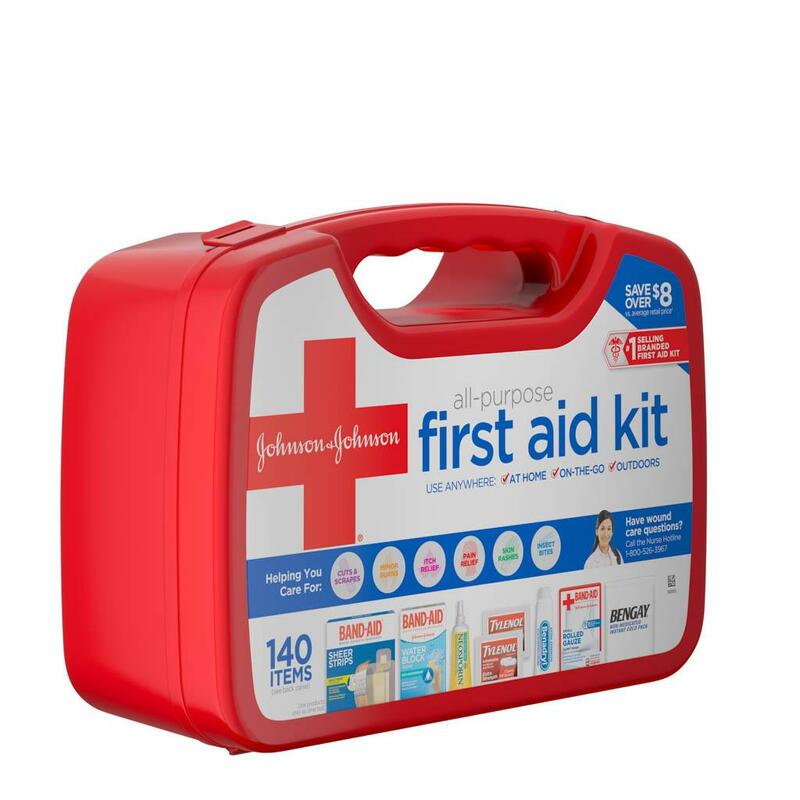 This #1 selling branded first aid kit* is for use anywhere – at home and on-the-go – and offers a great value by saving you over $8 vs. average retail price. *Claim based on Nielsen, for the 52WK period ending 06/09/18 total US. © 2018, The Nielsen Company.